The high specification two storey pavilion style modern open plan office, with 18 dedicated car parking spaces, has been let for a period of ten years at £80,000 per annum. Sandy Rennie, head of Shepherd’s commercial department in Inverness, said: “We’re delighted to secure this deal within an emerging business park. 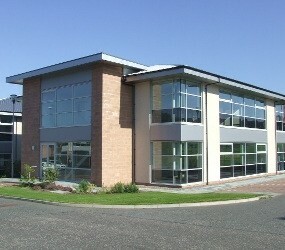 Cradlehall Business Park occupies a premier location on the eastern side of Inverness and lies within easy reach of all main arterial routes and the city centre. Its modern environment offers owners and occupiers a superb profile and superior business accommodation.